TV plays important part in our life. For example, watching movies on LG TV with families is a so warm experience. But if the movie all your families want to watch is a 3D Blu-ray and you just has only one pair of 3D galsses, what will you do? Maybe, rip the 3D Blu-ray to LG TV supported 2D format is a not bad idea. 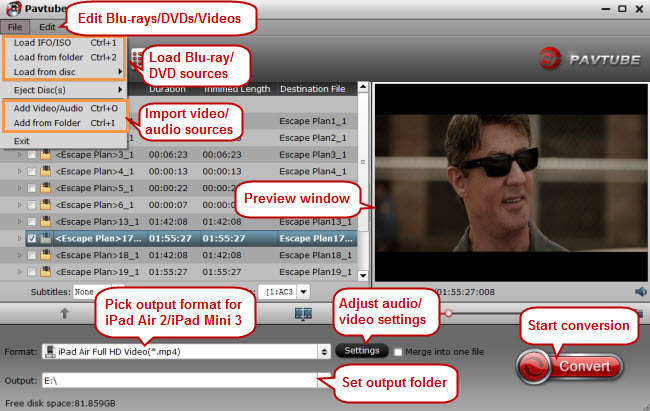 Now, just free get Pavtube Video Converter Ultimate on Windows computer and follow the steps below to backup 3D Blu-ray to LG TV with suitable format. How to rip and backup 3D Blu-ray to LG TV for streaming? Insert your Blu-ray disc into your BD drive, run the best Blu-ray to LG TV Converter and click “Load File ” icon to load movie from Blu-ray source(Disc, folder, ISO). Set output video format under “Format” > “TVS”. The formats here have be equipped with the most suitable video/audio parameters according to the TV official website and user manual. You can choose “LG TV(*.mp4)” for your LG Smart TV. 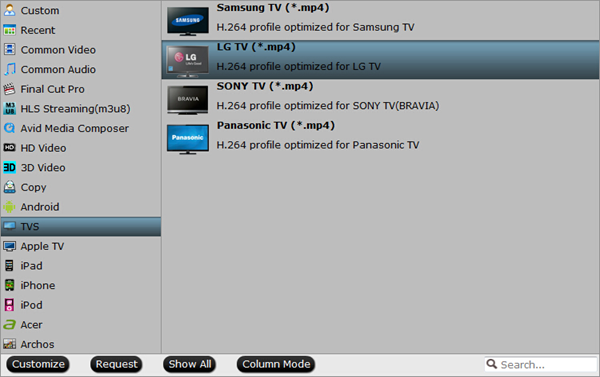 Of course, you also can simply choose “H.264 MP4” for your TV. Click “Start conversion” button and the program will convert 3D Blu-ray to LG TV accepted video immediately. You can easily find the output files in the output folders once the conversion is done. Then you can watch the ripped 3D Blu-ray movies on LG TV via Plex. How to Stream ISO Image on Sony Bravia HDTV via USB? How to Watch DVD on Sony/Samsung/LG/Panasonic TV via USB? Will Playstation VR Play 3D Blu-ray Movies?